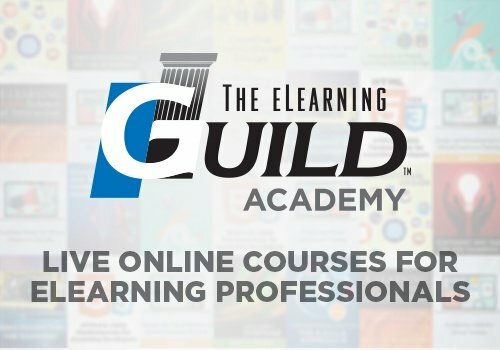 The eLearning Guild Academy offers a large variety of live online courses for eLearning professionals ranging from tools and instructional design, to content creation and business and leadership courses, and more. eLearning is a competitive field and getting ahead in your job might seem like an impossible task at times. How do you stand apart from everyone else? What makes you more qualified for that new promotion than the next person? Do you have all of the skills you need? Don’t worry. We’ll share a secret with you that will make things a whole lot easier. Improve your skills and knowledge and you will improve your chances of standing apart from the rest the next time a new opportunity arises. To learn more about The eLearning Guild Academy, visit http://bit.ly/1NC8VBp.